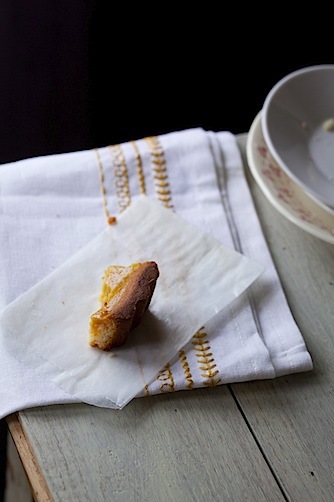 In August I had the pleasure of sharing a meal and photographing at Dale Sherman’s Pioneer Farm out on Whidbey Island. 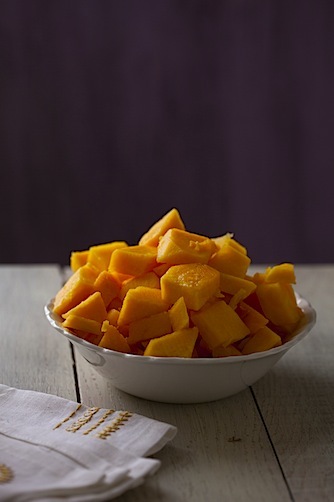 The article (for Edible Seattle) just came out and if you are in the Seattle area you can find fresh packages of their cubed sugar hubbard squash at local Whole Foods markets. 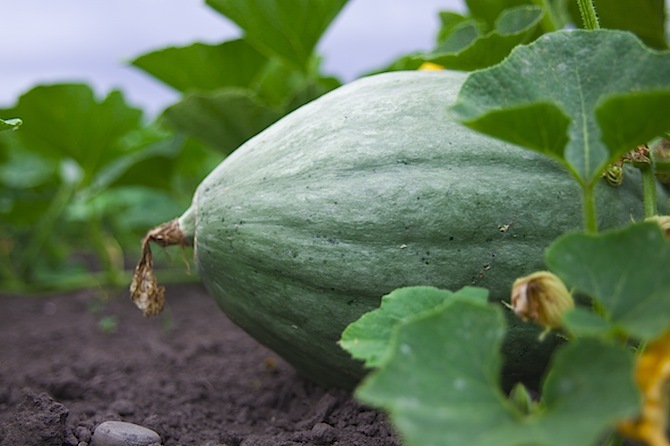 The sugar hubbard is an heirloom squash that you might not have heard of, but have probably had before under another name: pumpkin. 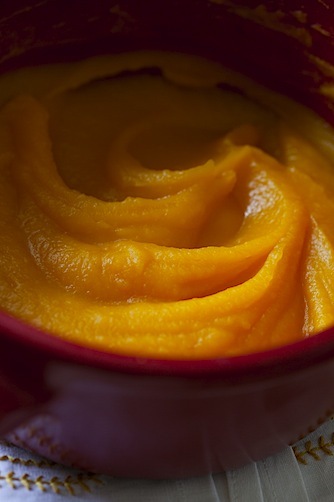 Canned pumpkin puree is often actually from the sweet sugar hubbard squash. These enormous winter squashes are ghostly green grey outside, with bright orange flesh. The skin to the squash is very hard… not something your standard chefs knife will cut through (although you’d be fine if you happened to have a bandsaw around). Once you get down the the flesh, you have something really special. I roasted my cubbed squash, covered, for about 30 minutes with about a 1/2 cup of water, and it created a beautifully smooth, lightly sweet puree with a hint of citrus tones. I turned most of my puree into bars. 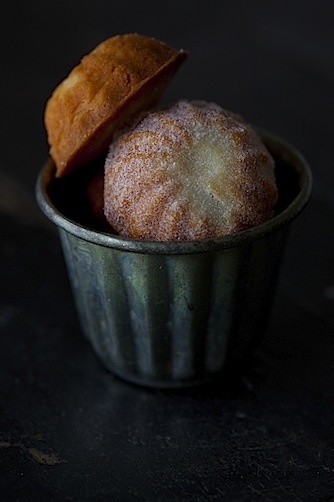 Don’t let the photos fool you… although I baked them in a round pan, this is not pie. The crust is a shortbread cookie, so they are the autumn cousins to those rhubarb bars that I made over the summer. The squash puree is seasoned with ginger, cardamom, cinnamon, vanilla and a touch of nutmeg. But here’s the kicker… instead of cream or milk, this custard has coconut milk. The effect is a subtle amping up of the silk and fruitiness of the squash (not to mention great for those that can eat eggs but not dairy). The crust is the same basic recipe I used for the rhubarb bars, but this time, I used half butter and half fresh soft goat cheese. The goat cheese adds a fantastic tang and a touch of moistness the the crumb. I only made a small batch of bars, so I happily had left over shortbread dough, which made great little shortbread cookies to munch on while I waited for the bars to bake. Take the dough and press it into a 5″ x 5″ greased baking dish with at least 1/2 inch sides. Let rest at room temperature for about 15 minutes, and then bake until it is lightly golden, about 20 minutes. If the dough has a side crust, cover the edges with foil when you bake it off to keep them from over browning. While the dough is baking, finish preparing the filling. 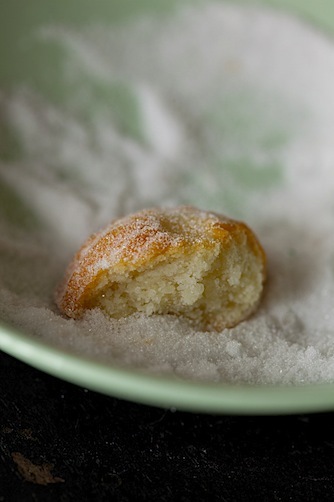 Add the squash puree, sugar, vanilla, cinnamon, ginger, nutmeg and salt to the bowl of a mixer, and beat until smooth. Add the egg and egg white and beat, then add the coconut milk and beat a bit more. 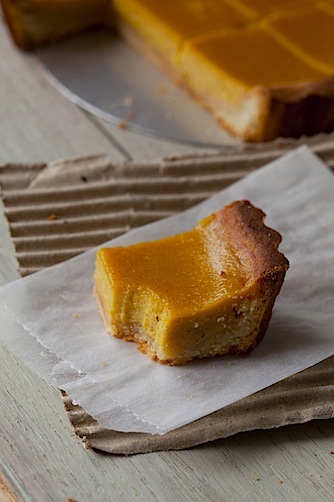 It will be quite thin, but don’t worry… it will set up when you bake it. Pour the filling onto the pre-baked crust (you may not use all of it), and bake for 20 to 30 minutes until the custard has set. Cool to room temperature. Refrigerate if desired (it’s easier to slice when chilled, but not necessary). This entry was posted in Breakfast, Cook and Eat, Desserts, Food, Recipe, Sweet. Bookmark the permalink. Make no mistake, this is a showstopper. 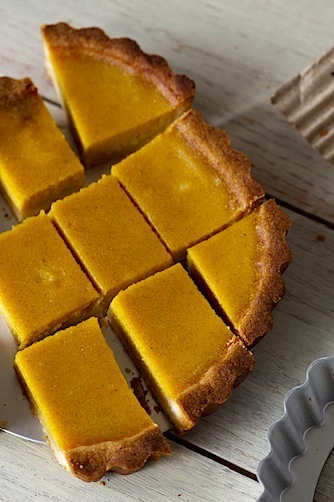 Aside from its great looks, I can imagine few things finer than an aromatic squash-coconut milk filling in a shortbread crust. 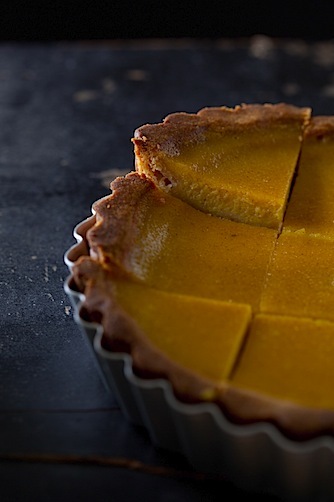 Love that you baked it in a tall-sided tart pan, too.